Tag Archives: What is Field Day? If you live in North America and have an interest in becoming a ham radio operator, this is The Weekend to check out what amateur radio is all about, and meet local radio enthusiasts. It’s Field Day. 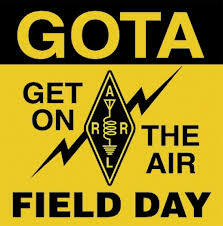 This entry was posted in Ham Radio, News, Preparedness and tagged 2014 ARRL Field Day, Field Day, How to find a Field Day location, What is Field Day? on June 28, 2014 by Thomas.